Egg Mayonnaise Sandwich is a quick and healthy breakfast recipe that can be whipped up within 10-15 minutes. The boiled eggs with mayonnaise and mustard sauce give a creamy texture of this sandwich. 1. Gently chopped boiled eggs to small cubes and add them in a big bowl. 2. Now, add all the ingredients one by one except bread. Gently mix everything and taste the mixture. Add more lemon juice or salt or anything else if required. 3. Toast the bread in a tawa or toaster. You can smear light butter on the bread. 4. Now, spread egg mixture over the bread slices and cover it with another slice of bread. 5. 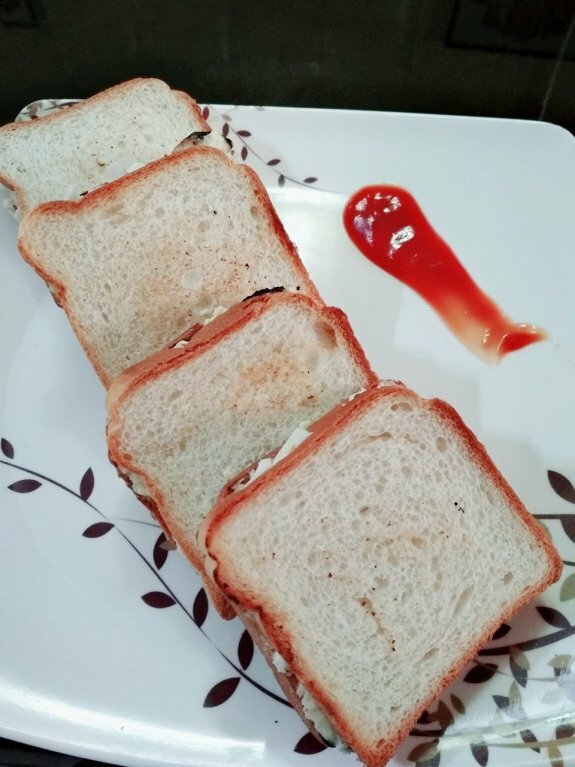 You can chill this sandwich in refrigerator or you can serve this instantly.